Since the 5th of February 2010, we the residents at Yarl’s Wood Immigration Removal Centre are on hunger strike which involves over 84 + women, who are protesting against the period of time spent in detention and the treatment that they receive while being detained.The strike was sparked to protest and demand that the frustration and humiliation of all foreign nationals ends now. Brighton No Borders Writes: Since the news of the impending opening of the Kronstadt Hanger, a self-organised resource centre for activists and migrants alike, the police had closely monitored the building and effective mounted a blockade of it since last Friday. On Saturday, people managed to circumvent the 3 police lines blocking access to the front door (they did not force their way in as Besson has claimed). Their numbers were swollen with migrants who were once again shelter-less following the closure after 2 days of the cold weather shelter at the BCMO…full report here A number of Bristol No Borders activists were present. A statement from Sos Sans Papier can also be found (in french only)here: here. 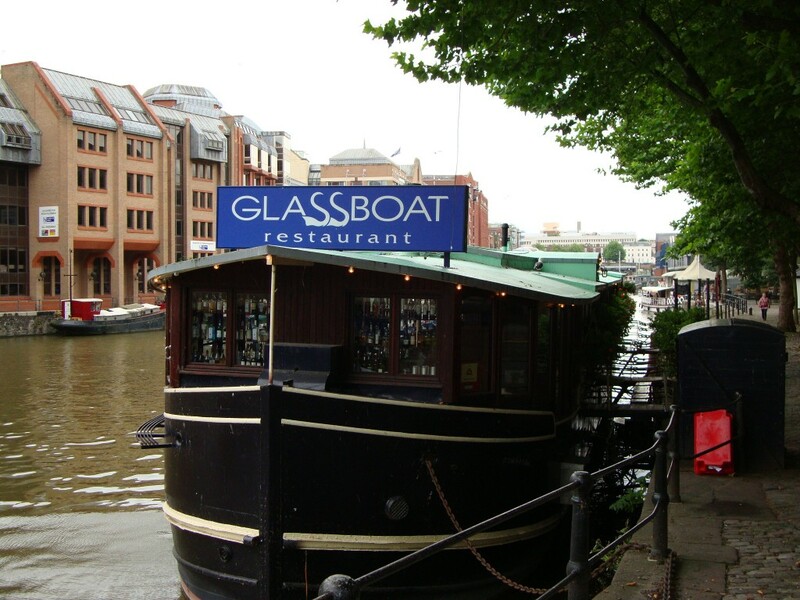 The UK Border Agency raided the Glassboat in Welsh Back during a lunch service and closed it off as officers arrested a Jamaican kitchen porter and Peruvian sous chef. Mr Lee, the owner said the Jamaican woman had been working at Glassboat since 2003 and that in 2008 the restaurant wrote to the Home Office to support an application to extend her visa. Demo last year for AlbertoMore background and details of solidarity demo here. 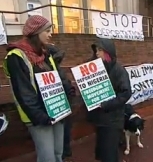 Last Wednesday (3rd Feb) Bristol No Borders joined their Comrades from South Wales in a picket outside the Regional UKBA headquarters in Cardiff to protest against a mass deporrtation to unsafe Nigeria. A full report can be found here. On a lighter Note, Traveller-hating posh-knob-scum-bag Lord Hanningfield is one of four politicians who face prosecution for the parlimenatry expenses scandal. 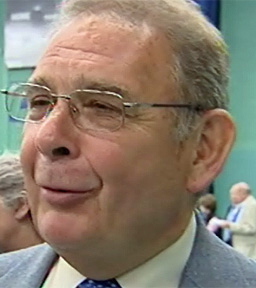 Hanningfield is presently charged with making thousands of pounds worth of false claims for overnight accommodation while allegedly being chauffer-driven home from parliament. 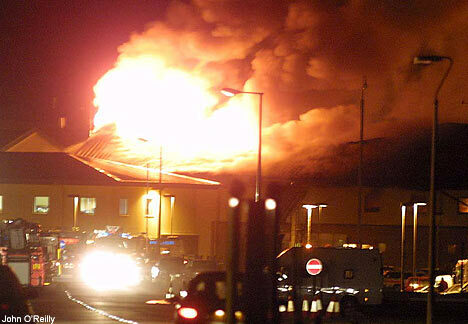 It was he who wanted to tear down Dale Farms’s community centre and Chapel and had been the Queen’s Deputy Lieutenant of the county when in 2004 bailiffs and riot police stormed the Meadowlands caravan park,burning homes and evicting Travellers onto the road in freezing winter weather. A interesting ariticle by Gratton Puxton about Dale Farm and “Irish” Travellers can be found here. An impending eviction attempt still looms for Dale Farms residents. Mr Durango, who is a prominent campaigner for migrant workers’ union rights, was hauled away by police and immigration agents after he turned up for a meeting with his bosses at the London offices of the Lancaster Cleaning Company. The Unite union member, who helped organise other cleaners on Lancaster’s contract at Schroder’s Bank in the City earlier this year, was arrested on suspicion of using false documents – despite having worked for the company for more than 10 years. Immigration officials and police then raided his home, confiscating union leaflets and newspapers, before releasing Mr Durango with a caution. Mr Durango insisted that the company had called in the police “in a clear case of victimisation. “I had first come to Britain in 1995 and have worked for Lancaster as a cleaner almost since then,” he related. Lancaster, which was taken over by the huge multinational services privateer Rentokil Initial in 2007, has many cleaning contracts at prestigious buildings in London, including the landmark Tower 42 and Swiss Re buildings. A spokesman for Rentokil Initial said last night that the company was looking into what had happened, but Mr Durango insisted that the police officers who arrested him had already told him that he wouldn’t have a job to go back to. “I was told by the police that I’ve lost my job, but I’ve heard nothing from the company,” he said. Meet 10.30am outside Canary Wharf tube exit for picket at 11am at 31 Beaufort Court, Admirals Way, London E14 9XL. 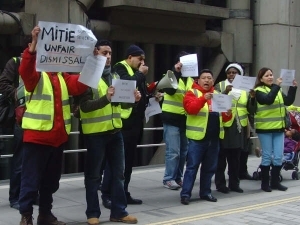 Note: the weekly Willis/Mitie cleaners picket has been suspended in order to support Alberto.